SCAI THE BATHHOUSE | Exhibitions | Past | He Xiangyu "Save the Date"
He Xiangyu playfully explores social criticism in his practice, foregrounding a refreshing humor and process-based approach. In Cola Project (2012), he amounts an apocalyptic landscape of boiled residue from 127 tons of Coca Cola, in an evocative scale of grandeur. In recent years, the artist has shifted his artistic attention to describe more private and abstract conversations focused on the expression of his sensual and tactical feeling often employing his own body. He’s second exhibition with the gallery, entitled "Save the Date", showcases his most recent works that depicts body senses, haptic perception and the transmission of feeling. 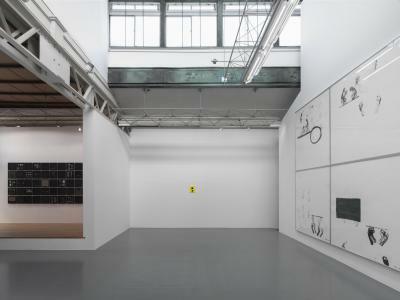 Central to the exhibition is My Feet (2016), diptych drawings made by the artist’s feet actions, where he stands on paper and jumps across the two areas. The subtlety of human feelings -- anxiety, fear, tension and impatience --- are brought to light, to remind us of the difficulty of transcribing one’s emotions. 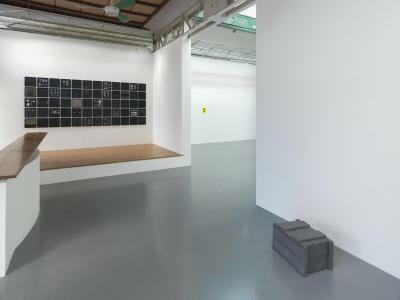 Site-specific wall installation, Olive Oil (2016), shows a height of his minimalistic approach and his acute sensitivity to everyday objects. In this work, the artist applies organic olive oil across a long expanse of the gallery wall. The area of absorbed oil on the wall will expand its area with time emitting faint fragrance. 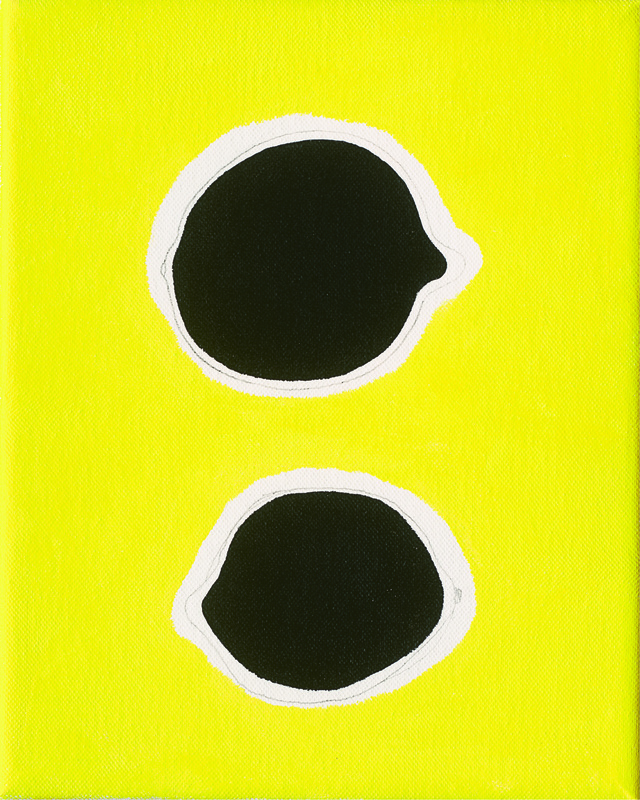 In his “lemon" series, He paints lemon shapes randomly against vivid yellow background, emphasizing the effect of color yellow in the white gallery space. 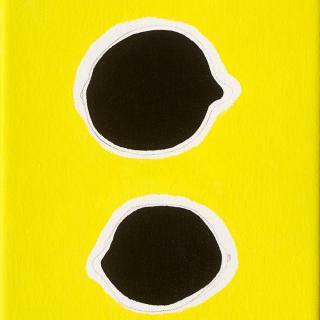 After his extensive research concerning human interaction with the color yellow ----from biological retina reaction to "Sunflower student protest” in 2014, Taiwan----- He suggests the intense power of the color yellow eliciting an instant excitement to the viewer. “Save the Date” will be held concurrently with the corresponding exhibition at Kaikai Kiki Gallery (Minato-ku Moto-Azabu). More details here. He Xiangyu, born in 1986, Liaoning (China), lives and works in Beijing. 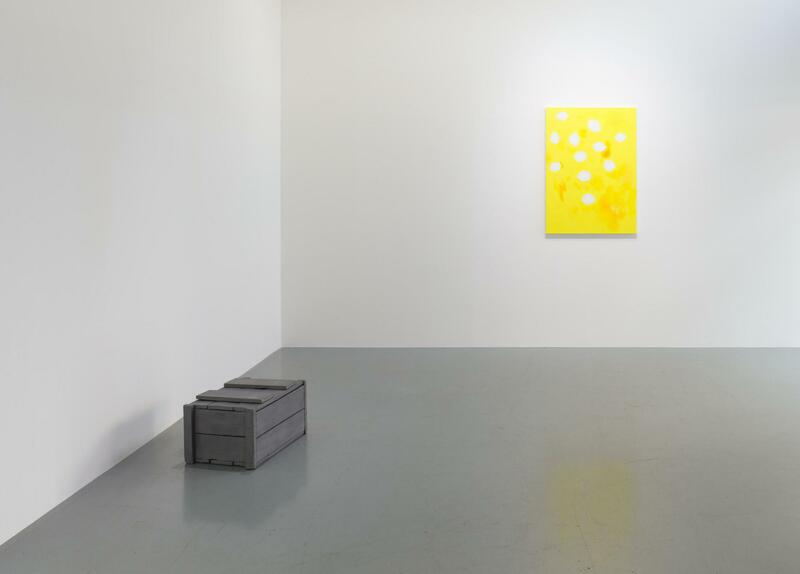 Recent group shows include; ‘Inter-Vision: A Contemporary Exhibition Across the Strait’ at the National Taiwan Museum of Fine Arts, Taiwan, which is currently on tour to the National Art Museum of China, Beijing; and ‘ON|OFF’ at Ullens Center for Contemporary Art, Beijing (2013). 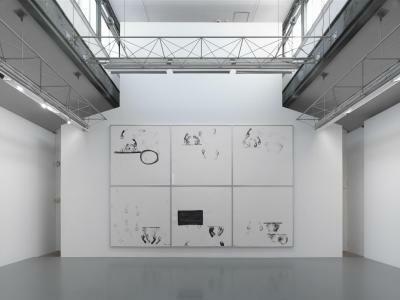 Select solo exhibitions include; ‘He Xiangyu’ at White Space Beijing (2012); ‘Cola Project’ at 4A Centre for Contemporary Arian Art, Sydney, Australia (2012); and ‘The Death of Marat’ at Künstlerhaus Schloß Balmoral, Bad Ems, Germany (2011). He has participated in the 13th Lyon Biennale (2015), Shanghai Biennale (2014), and Busan Biennale (2014) amongst other.